D&B Tampa - Family New Years Eve Celebration! The New Year's Event will be hosted at Dave & Buster's Tampa. As a guest of the Family New Year's Event, you will have access to the event space, as well as our Million Dollar Midway, packed to the rafters with games and simulators! Both packages will include face-painting for the kids! Speaking of awesome gaming options, Unlimited Video Game Play will be added to each guest’s Power Card who purchases Package 2! This option will allow you and your family to play experience All-You-Can-Play FUN of our non-redemption games from 5pm until we close! 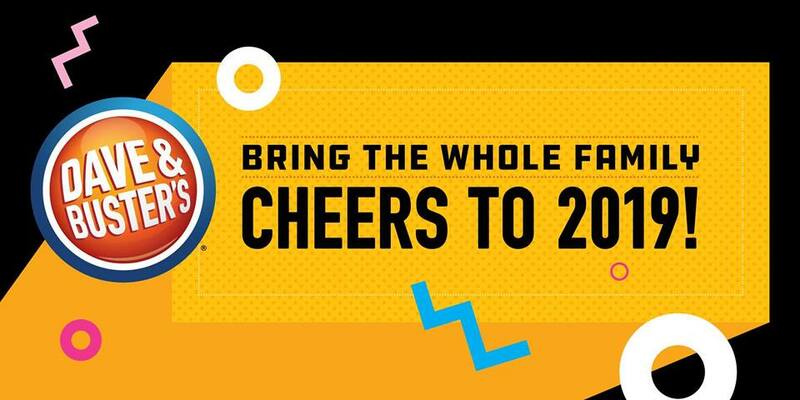 As a guest of Dave & Buster's Family New Year's Eve Event, you are welcome to stay at Dave & Buster's past the event end time, pending curfew time and if the building is open to the public.